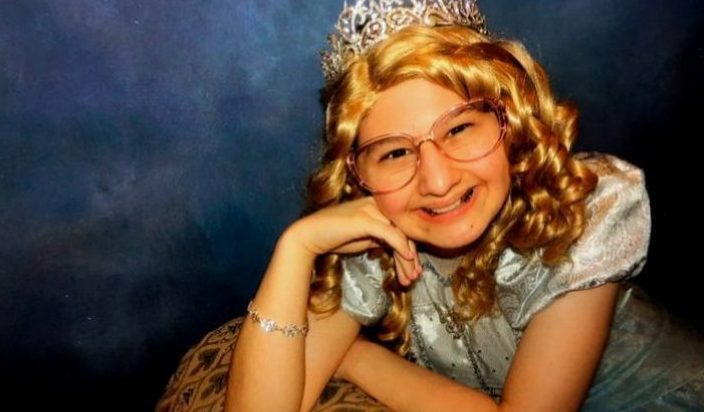 The HBO documentary Mommy Dead and Dearest has brought necessary attention to the mental illness Munchausen syndrome by proxy. This is a form of abuse (often of children or elders) that involves a caretaker fabricating an illness for one of their dependents, which can be seen in the example of a mother named Dee Dee Blancharde and her daughter, Gypsy Rose. Over the course of Gypsy Rose’s life, Dee Dee manipulated her daughter and those around her, making them all believe that Gypsy was coping with several illnesses. As a result, the Blancharde women received attention, financial perks, and more. 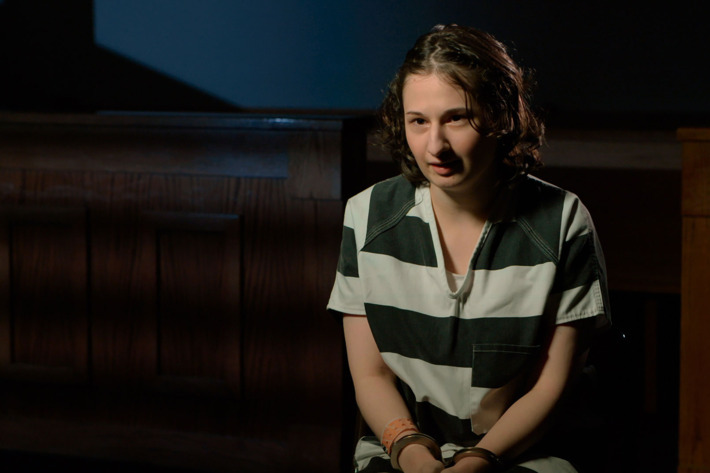 From the outside looking in, it seemed like Dee Dee and Gypsy Rose were the ideal mother-daughter pair — until Gypsy Rose assisted her then-boyfriend in murdering her mother. Following Dee Dee’s murder, Gypsy Rose faced life in prison. However, once details about her mother’s Munchausen syndrome by proxy came to light, Gypsy was sentenced to only 10 years in prison. 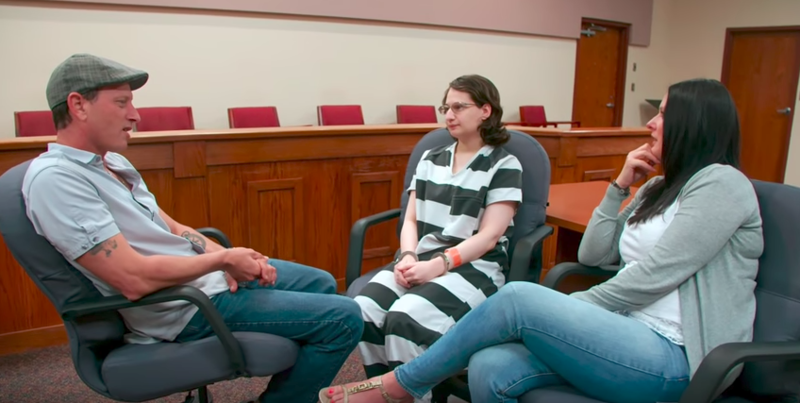 With this in mind, we spoke to Kristy Blancharde, Gypsy’s stepmom, and Erin Lee Carr, director of Mommy Dead and Dearest, about how Gypsy is coping while in prison. We specifically wanted to find out if she’s receiving the help she needs. 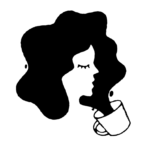 HelloGiggles: Kristy, when was the last time you saw Gypsy in person? What did you both talk about? Kristy Blanchard: Last time we saw her was the weekend of March 25th. We got to see her three different times for four hours each. It was great. She’s doing really well. HG: Is Gypsy receiving the help that she needs while she’s in prison? KB: She’s not receiving as much as we would like at this moment. Right now, we are trying to find a therapist…that might be able to go and see her, you know, during visiting hours, and someone she can call maybe once a week. What they do there is…pretty much it’s a group of them, and it’s kind of like an AA meeting, but not an AA meeting — they all sit and they talk about their trauma and everything. So she is getting something, but not as much as we would like. HG: Does she also want to actively seek out more help? KB: Oh yeah, for sure. Definitely. HG: The documentary revealed Gypsy to be very eloquent. Considering that she was only allowed to receive a second grade education, how did she learn to speak with such maturity? Erin Lee Carr: You see in home movies with her, she knows what phalanges are, she knows what cranial means. She just has a baseline intelligence. In my earlier discussions with her, she [seemed] a lot younger. And I think because we were able to talk for so long in these letters and phone calls, when we finally met in person, there was a comfort level there that allowed her to portray the best version of herself. And that is also being self-referential, that involves being authentic. I think that also she taught herself a lot of things…She was basically held hostage for a number of years. She had curiosity in the world…Her brain is moving and thinking at this sort of rapid pace, and I think that’s what you’re sort of seeing in real-time. What do you think, Kristy? KB: Yeah, I agree. Like Erin said, all she really watched was Disney…that and sci-fi movies. But the thing is with Gypsy, she read a lot. She loves to read. So by her reading, that made her more intelligent…And that’s how she gained knowledge, whether it was through Harry Potter, or a different book she read. There are a lot of things that she watched…Now that she’s in prison, she gets to watch more than what she’s ever done. But the way she carries herself now, [that] is something that we’ve had to just take our time with. Our first time seeing her, she was scared and like this little puppy that was in the rain, shivering cold — you know, scared. ELC: It felt like a different person. The first few calls, it was hard to talk to [Gypsy]. She would barely say anything. So now we get on the phone, and it’s an hour, two hours. And I would say, “You have one minute left.” And she’ll be like, “Okay, Mom. I’m gonna call you right back.” So this is what we got. We never run out of things to say. ELC: And she’s the first woman that would listen to her. Kristy is the first person who is not like, “All right, shut up”…She has been able to be vocal in a way that she never in her whole life was able to. So it’s like this excess of words that she needs to get out. KB: Right. Now she tells me things. You know, she’ll talk to her dad. But then she’ll say, “Okay, well, let me talk to Mom.” And he’s like, “ I’m sure it’s the girl stuff.” And pretty much, it is. We talk about girl things. She has matured…My baby girl is getting it. She’s realizing, you know, I can trust my mom, and I can trust Mike [her attorney], and I can trust my dad, and my brother and my sister, and Erin. You know what I mean? She’ll call me and tell me, “I miss Erin, I need to call her,” and this and that. So she has developed a great bond with Erin. And that will never, ever go away. You can check out the documentary on HBO.